Financing a business or personal need is best accounted for when there is a clear distinction between respective expenses. Many a times, you may wish to pay for your company from your personal fund than comparing banks for a business loan or SME loan. 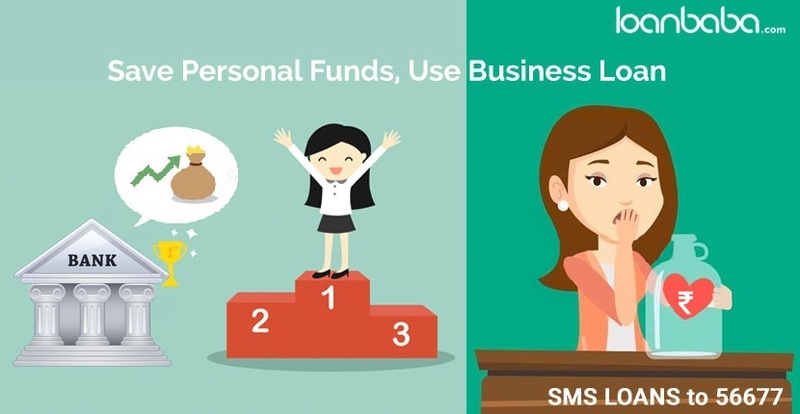 While such step could be a necessity at times of emergencies, it is advisable to maintain pure distinction between your business and personal finances and funding. If you run and manage a business of your own, it is crucial to establish a unique identity for your firm. Here is why financing business is not about mingling it with personal finance. It could be a tiring task for some of you to keep personal expenses separate from business when you have just one source of income- that is your company. However, bookkeeping for your organization will help you identify the fund flow, income sources, and give a complete idea as to where your company’s fiscal state stands. Hence, you will understand the economical condition of your company to know when you need funding, and it is wise to finance it from personal funds or choose a business loan. Try to upkeep proper receipts about each transaction, trades, even for the smallest of the expenses. This practise is important to draw financial reports and refer the same for later performance review. If you blend personal funds in between, it will be difficult to understand where your business is actually headed economically. So you finance your organization from personal fund, landing up with fewer saving for personal needs. This prompts you to spend revenue from business every time on other necessities than that of the company, messing both your business and personal finances. If you fall short of cash to run your company, the alternative is to apply for a business loan than touching your personal fund. This will assist you in being strict with your finances and drawing a proper financial plan for expenses either ways. You have to file taxes on your business, thus disclose financial matters linked to it. This is why it is indispensible to have your organization’s funds noted for individually; otherwise you could face an audit. Every businessperson must open a business account for company-related transactions. The bank statement of your company’s account will detail how the funds were utilized, along with that of the enterprise loan, thus making work easier for the IT Department for analyzing your taxes and benefits on the same. During funding your company, the latter must depict a steady financial position, so that there is less stress on personal finance. With personal as well as business income muddled in records, your organization’s credibility in financial strength will come to be questioned. If you continue funding your company from your personal fund, then the company would seem to be overly dependent on other income sources. By the above-mentioned arguments, it is typical that business finances or funding should be retained as sole entity than confusing it with personal expenses. If you wish to get instant funds for your company or other priorities, do contact loanbaba.com. We will revert to you with best funding offers from banks & NBFCs. Previous story What is a Top-up Home Loan and How to Use It?